Antoine Dénériaz, World Cup skier during more than 10 years, which skiing passion carried him at work, the search of technical excellence, physical and mental, but also to develop his skis, in one discipline – downhill – true F1 of alpine skiing. 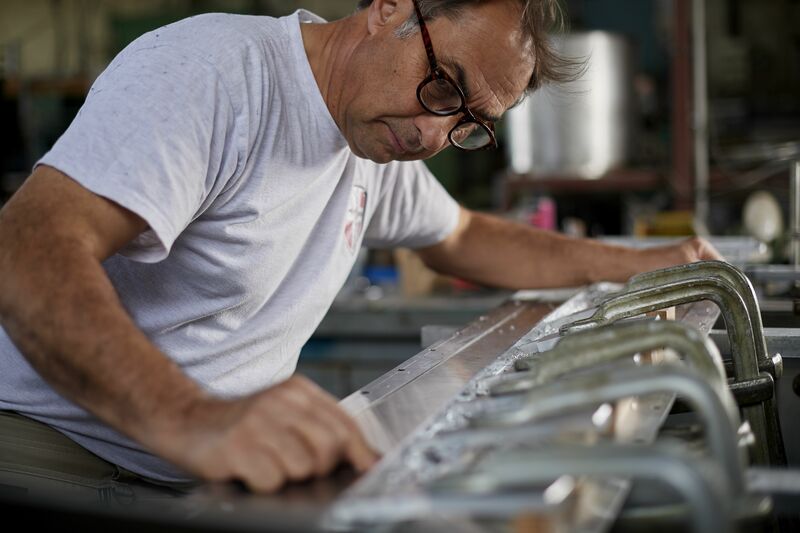 Alain Zanco, developing and creating skis since more than 30 years for one of the greatest ski brands in the world, and since a few years in his own production workshop. Alain has developed hundreds of prototypes and applied for more than 50 patents. It is therefore naturally that these two skiing enthusiasts combined their know-how and their experience in order to develop skis giving access to sliding feelings and a unique touch of snow. Their greatest wish being that everyone could realize thin and precise ski curves playing with land movements and in all types of snow in the most comfortable way possible. 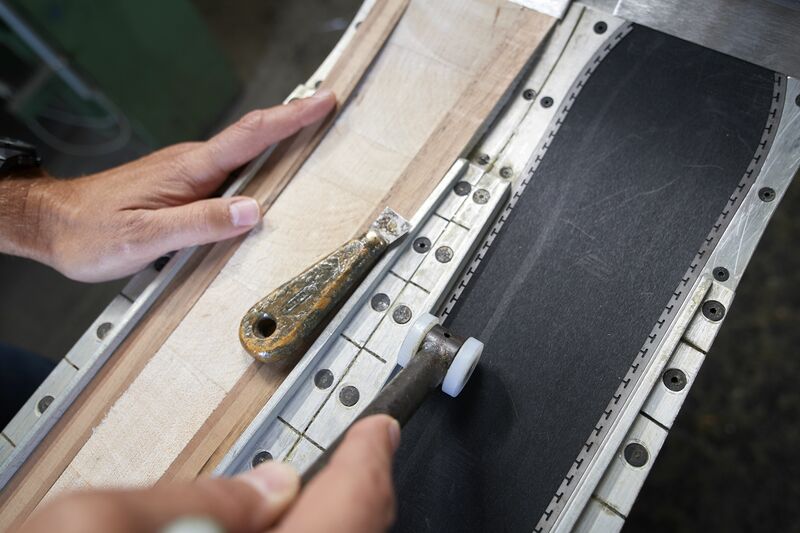 Nature offers the most formidable of natural composite materials : wood, which is the principal component of our skis. 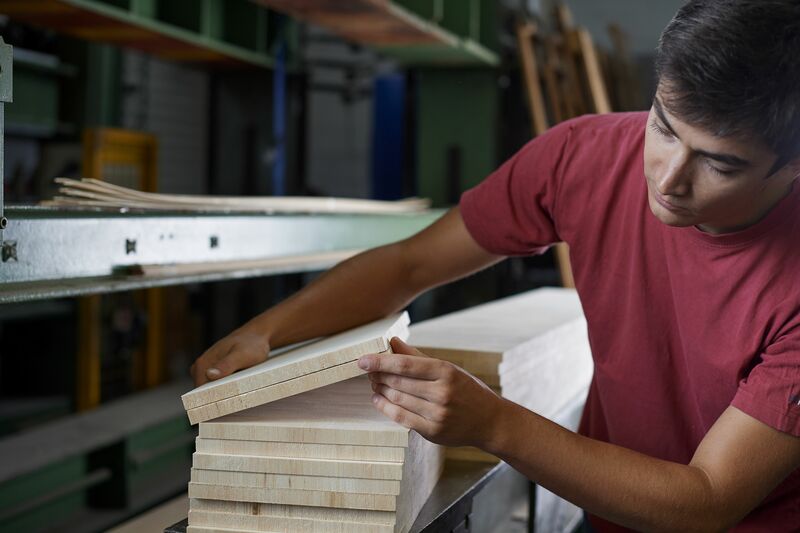 Each wood specie is carefully selected for its mechanical qualities, its comfort and design. It is in their architecture that lies the concept and the exclusive character of DENERIAZ skis. Two lateral beams surround the core. 12 operations are required to manufacture these mastery pieces placed above the edges, acting as a real catamaran. They assure the exceptional riding quality of our skis on snow. To balsa wood, ash wood, walnut wood or other bamboo (grass), we associate afterwards different fiberglass, of basalt, of kevlar or of carbon which by themselves refine and sublimate ski behaviour on snow. We also create and manufacture our proper moulds. 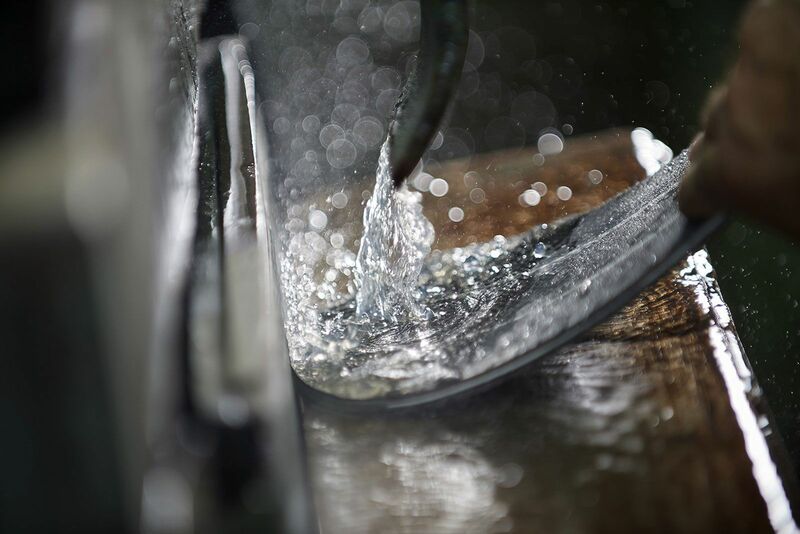 All components are dimensioned with the greatest precision to optimise their assembly operation before being processed through our hydraulic press. This process is essential for a maximal optimization of the reinforcement-resin mixture used to stick the various components bringing therefore a perfect cohesion between natural and composite fibres, major assets so that the materials used offer the best of their mechanical properties. 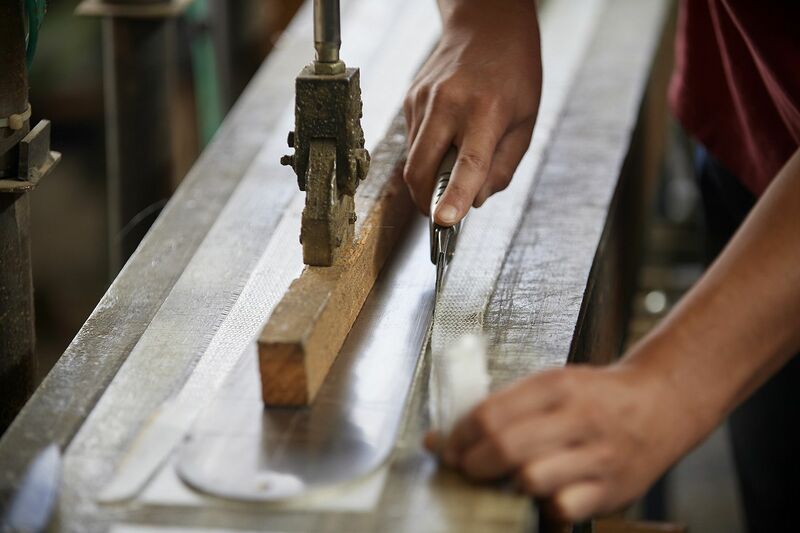 From raw materials transformation to varnishing and skis finishing touch, every step is realised in our factory which is therefore totally dedicated to skis development and creation handcrafted in an artisanal way, skis of an apparent soberness and an irrevocable distinction. DENERIAZ skis are exclusive, made from the best materials with a sense of detail and precision… All of this for an intense skiing pleasure!